John Scott, owner and principal designer for Landscape By Design, worked for 20 years as an Art Director for television and film, collaborating closely with photographers to create lasting images. This same artistic eye for detail can be seen in the landscapes and outdoor environments created for his clients. In addition to his extensive design and construction skills, he has an Applied Degree in Horticulture and a Master’s Degree in Landscape Architecture. Every John Scott design is custom tailored to fit the needs of each client. Site considerations include architecture of the home, screening needs, drainage, traffic flow, handicapped needs, and much more, all matched aesthetically to the lifestyle of your family, children, friends, and pets. Curb appeal enhances the first impression of your home. Landscape By Design can bring your home’s indoor environment to the outdoors in a seamless yet functional design with the addition of extended backyard living space. Finally, a carefully designed planting plan brings it all together. Remember, proper plant selection must be matched to the landscape environment (sun, shade, wet, dry, etc.) for a thriving, successful garden. Please allow us the opportunity to visit your home and discuss your landscaping wish list. We promise to listen to every word you say and offer professional and courteous advice along with innovative ideas to meet your landscaping needs. 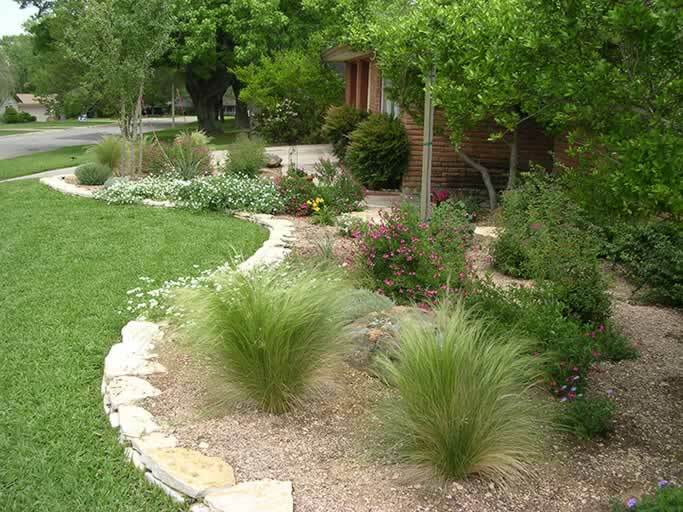 Contact Landscape By Design for a complementary landscape consultation in the Fort Worth area.